With 150 acres in a peaceful mountain setting, Doubling Gap Center offers a variety of outdoor activities and locations to enjoy God's beautiful creation. There are plenty of hiking trails, activities and areas to explore and learn for people of all ages. Activity areas not shown below in pictures include a challenge course, co-op course and sand volleyball court. Named after Rev. J. Paul Breneman who was instrumental in the discovery and purchase of Doubling Gap Center in 1946. This memorial chapel offers a uniquely beautiful view for worship services. Down the exit drive is our 4.5 acre man-made lake. 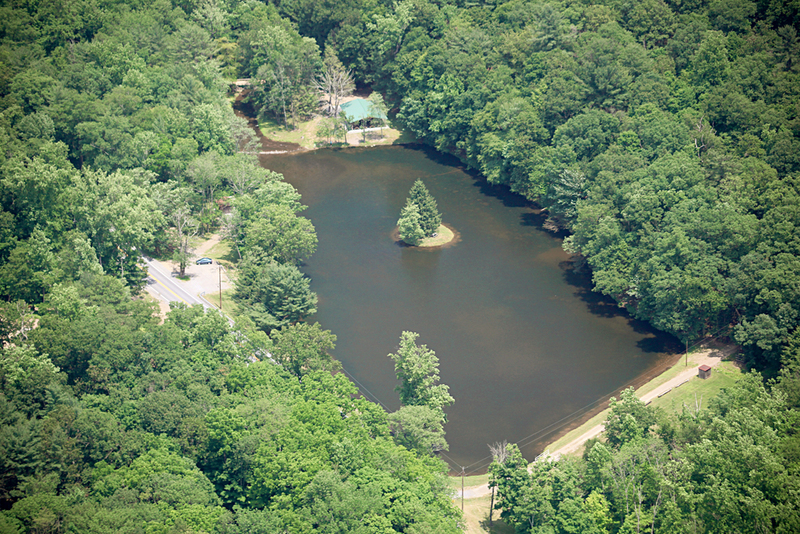 Our lake pavilion (top center of picture) hosts family picnics and cookouts and can shelter large group gatherings. Lake Henrietta provides an area for paddle boats, row boats and canoes as well as fishing. The wilderness outpost pavilion contains an outdoor kitchen and picnic area. It is well-suited for our wilderness camping program during the summer. 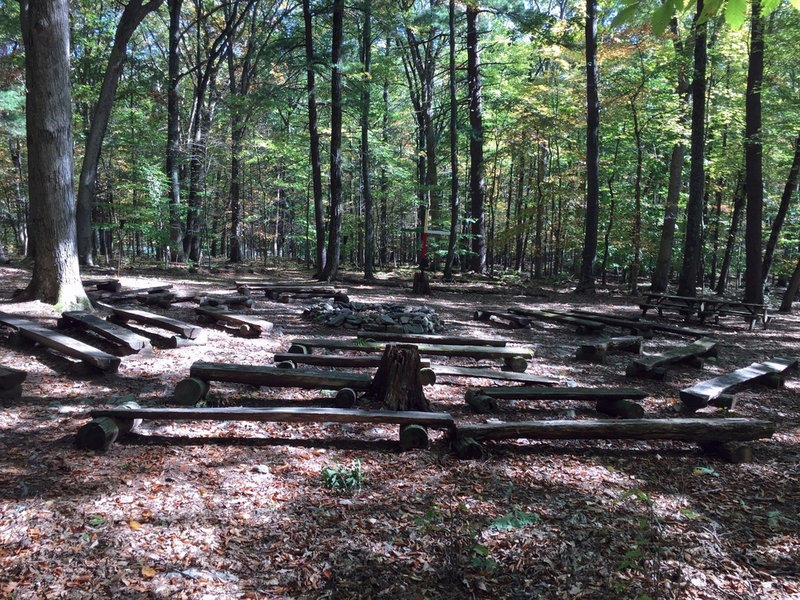 One of four large group campfire circles located on the grounds. 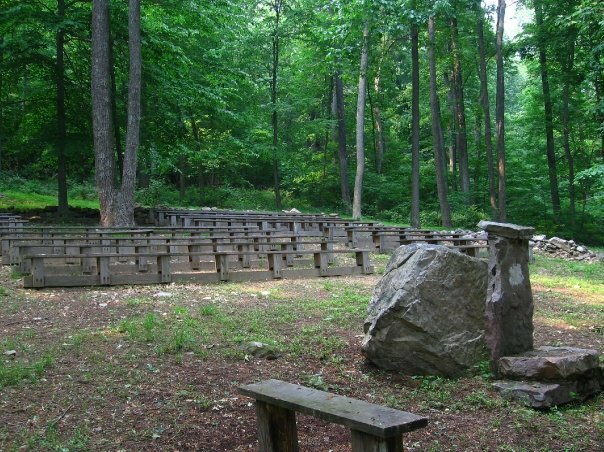 This worship area is located up the mountain behind the Main Lodge. Built to honor Dr. Roy Schreiner, the Dean of Camps for the first 25 years of the YoliJwa camping program. Located atop the North Mountain, Flat Rock (a 2.5 mile round-trip hike) offers this panoramic view of the Cumberland Valley. A view from the street looking up Leafy Lane to the Main Lodge. Standing on the Main Lodge front steps offers this beautiful view down Leafy Lane. 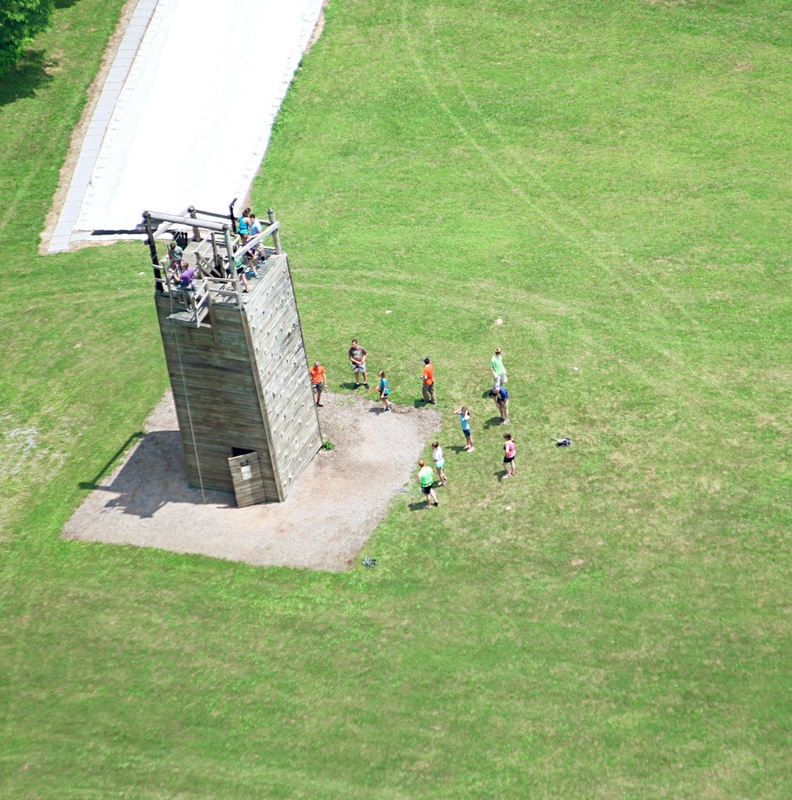 At 30 feet tall, the climbing tower is a popular activity for older youth campers and retreat groups. The attached zipline challenges guests to overcome fears as they travel 150 feet to the edge of the woods. 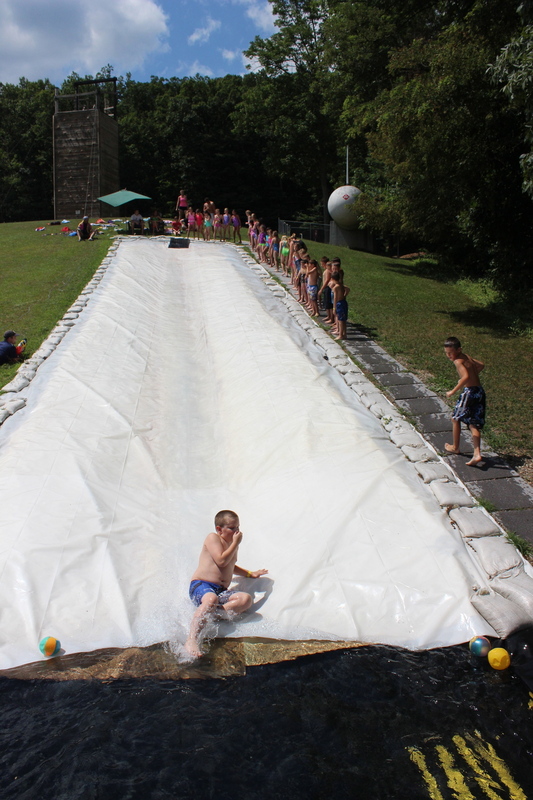 Located between the climbing tower and the Gymnatorium, the water slide is a popular area for cooling down. An aerial view of the pool. The pool measures 100 feet by 40 feet. 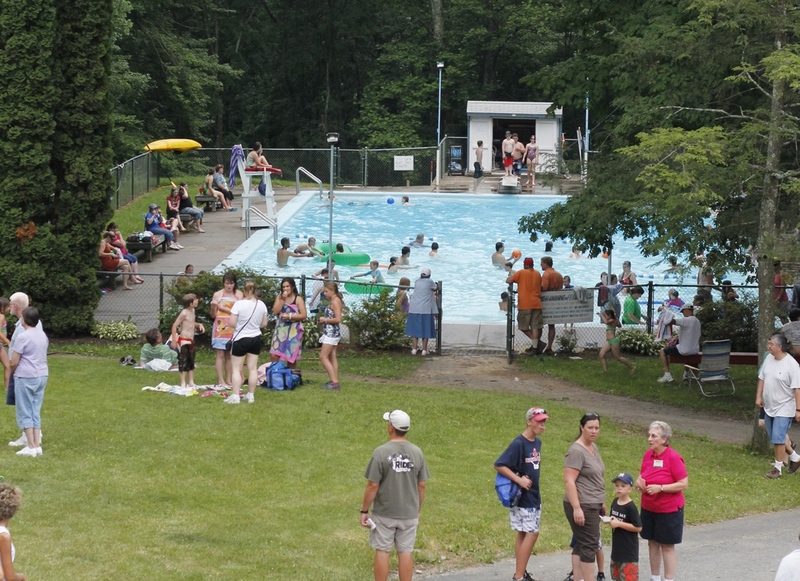 A very popular activity for all ages in the hot summer months, the swimming pool holds approximately 150,000 gallons of water. 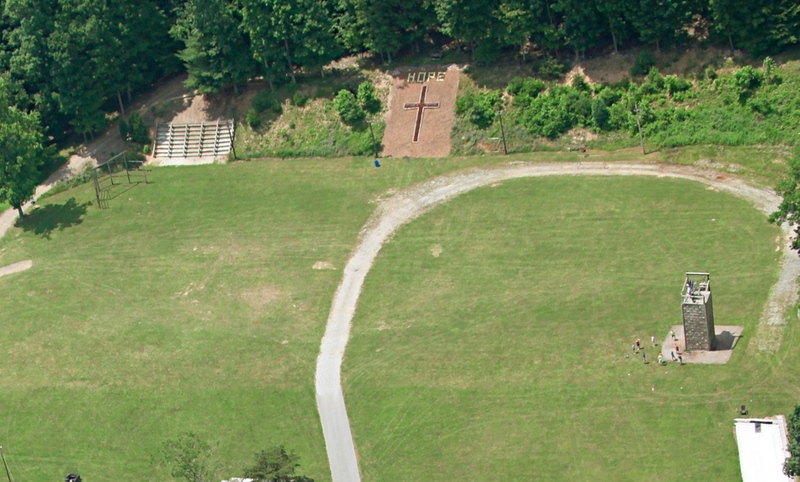 This large area is used for many field sports including softball and soccer. For scale purposes, the 30 foot climbing tower is located in the bottom right corner of this photo. GaGa or in Hebrew "touch - touch" is a fast paced below the knees dodgeball game. 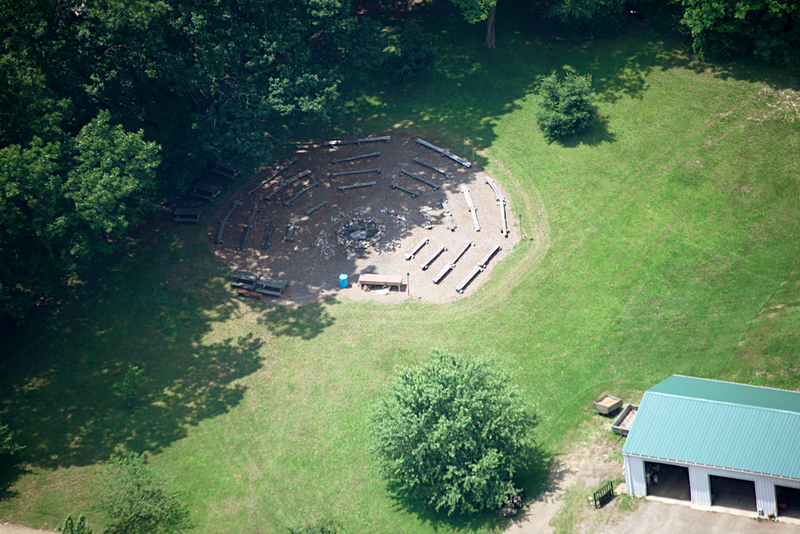 Our outdoor sand GaGa pit is one of the favorites of many campers that attend Yolijwa during the summer. 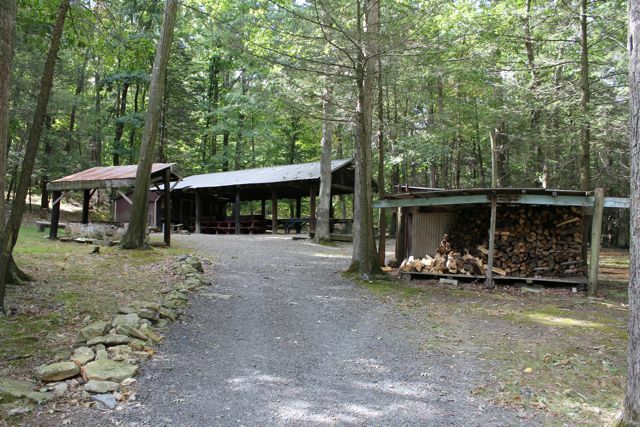 Welcome to Doubling Gap Center, Home of Camp YoliJwa!